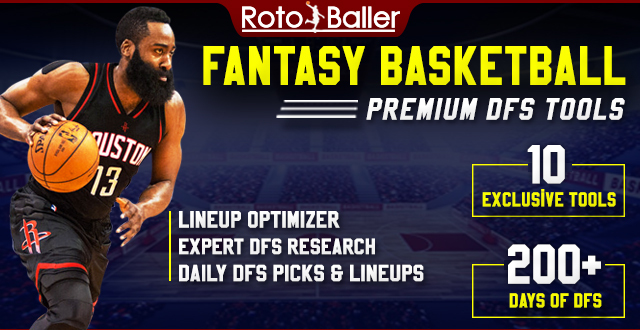 Let’s take a look at a few names to target if you’re punting big stats (FG%, REB, and/or BLK) that might be available on your waiver wire. It’s important to remember that just because a player is good in a category you’re punting, doesn’t make him unownable to you. Exercise patience for your early round draft picks, but don't hesitate to drop an underperforming player on the end of your bench for a hot waiver pick up. Now's the time to mold your team, maximizing your strengths while minimizing your weaknesses. These players below are likely available in your league and can be looked at as players to target if you're looking to capitalize on a punt team that punts any of the big man stats (FG%, REB, or BLK). 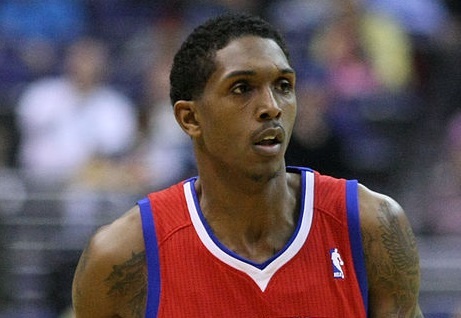 Lou Williams has been a steady source of points, threes, and elite free throw shooting throughout his 12 year career. He now finds himself as the veteran on a Los Angeles Lakers backcourt crowded with promising young players. Despite Kobe Bryant retiring, he likely won’t find himself playing 28 minutes per game as he did last year. Coming off the bench in his first game of the season, he managed to put up 12 points due to his prowess of drawing fouls and knocking down his free throws at a high clip. Nick Young started and accrued 27 minutes, but don’t expect that trend to continue. Already in his second game Lou Williams managed 27 minutes, more than both Young and Jordan Clarkson. Clarkson and Sweet Lou are the clear two best shooting guards on this team, and it won’t be long before Young loses the starting job and falls behind Clarkson and Williams in the rotation. Lou Williams doesn’t have the upside of some lesser owned young guards, but he can anchor your free throw percentage while chipping in 1-2 three pointers and a steal. If you’re punting the big man stats, Lou’s only deficiency is in the assists category, which is always tough to find on the waiver wire (and which you hopefully secured early in your draft). Other Options: If you’re very confident in winning FT% and want a bit more of other stats than Williams provides -- Allen Crabbe (40% owned), Patty Mills (20% owned), and Matthew Dellavedova (45% owned). Josh Richardson suffered a knee injury in early September and hasn’t seen the court since. Dion Waiters has done nothing special as the interim starting shooting guard for the Miami Heat, and it’s fully expected that Josh Richardson will start when he returns, which should be sometime in early November. Richardson made a huge splash late in the season last year, averaging 10.2 points and 1.7 threes on 50% shooting when he started earning significant minutes in mid-February. With the departure of Dwayne Wade, Richardson should take on a much larger role this season, hoping to approach 30 minutes per game with a higher usage rate. Like Lou Williams, he’s someone who can help chip in double digit points and close to two 3’s per game. Though his free throw shooting won’t help you, his 67% from the line won’t affect you too much as he doesn’t get fouled too often (1.6 attempts per game last year during his hot run). Richardson is only 23 years old and has some room for improvement, so if you need a guy with higher upside he makes for a nice target. He’s still useful even if you’re not punting given his defensive stats, but his rebounding and field goal percentage (which will likely regress) won’t impress anyone in his new role. Other Options: Top alternatives at the wing positions likely available in your league (<50% owned on Y!) are Courtney Lee (43% owned), Bojan Bogdanovic (48% owned), and Solomon Hill (27% owned). Kelly Olynyk is the perfect fit for your punt big stats team. The only problem is that he’s injured, still a couple weeks away from returning. He’ll probably be on a minutes restriction in his first couple games back, and then only see minutes in the low 20’s in a crowded Boston frontcourt. But if things go right, this is a guy that can win you your league. Olynyk has always been an exceptional producer in his limited minutes, averaging 10 points with 1.2 threes, 0.8 steals, and 0.5 blocks per game last year in just over 20 mpg. That may look underwhelming at first glance, but his per 36 minute stats are highly impressive and would have been in the top 50 among all players last season. All Olynyk needs is the opportunity. Whether through trade, injuries to the guys ahead on the depth chart, or excellent play, there are paths to greater minutes for Olynyk to become a fantasy stud. His out-of-position 3’s and solid career free throw shooting make him an ideal target or stash for your punt big stats team. Other Options: Top alternatives at the big positions likely available in your league (<50% owned on Y!) 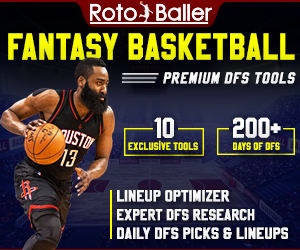 are Cody Zeller (24% owned), Frank Kaminsky (11% owned), and Trey Lyles (37% owned).